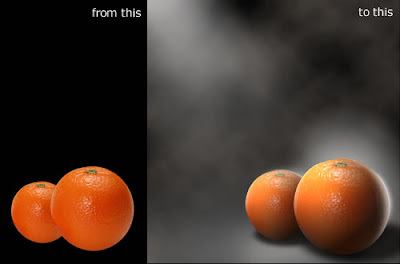 Description: In this photoshop lighting tutorial we'll learn something about "Three-point-light" model, which is - according to Wikipedia - "a very common lighting technique, used in both still photography and in film". It is in fact, a classical, simple scheme to achieve a softer lighting over some scene. Using three different light sources, one can illuminate a subject (a person or some object) , and by controlling light, shading and shadows, can emulate 3D object aspect in 2D areas. The light scheme is used to model the scene, so the viewer can see the shapes, shadows, and how these objects relates to others.